Desert Rose Golf Club - The Las Vegas Valley features two outstanding golf courses that are specifically owned by the city of Las Vegas. This means that the courses are both affordable and newbie friendly. If you are new to golfing or want to improve your swing, then a visit to the Desert Rose Golf Club is a must. Additionally, with the price of your game being so affordable you can spend the money on many other entertainment options such as the various Las Vegas shows, casino visits, or clubbing experiences. You can enjoy a round of golf, or twelve at the Desert Rose Golf Club. The design is what you would call traditional with the typical green fairway, multiple bunkers and water features. The water features and the bunkers are placed strategically throughout the course to provide some level of challenge. 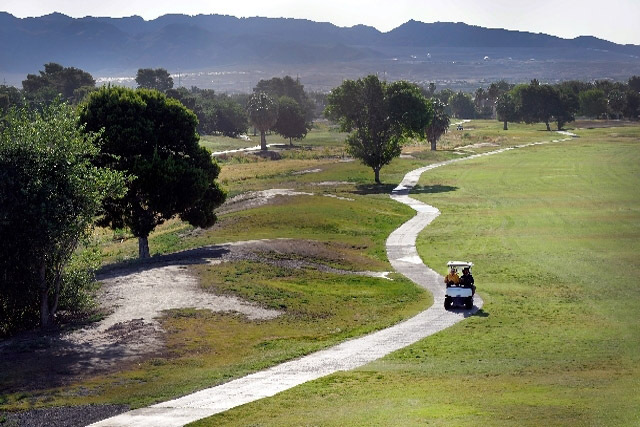 The course winds around and through a neighborhood in the eastern side of the Las Vegas Valley. Driving Range, Putting Green, Restaurant. Love the course, was a bit confusing on back nine on first play, however fairways are clean the ruff defined. And great place to stretch your legs and get some fresh air, meet nice people and lie a bit about your game.